MOUNTAIN VIEW, CA-It’s not exactly comforting when the dentist says that your wisdom teeth are starting to come through. According to the American Association of Oral and Maxillofacial Surgeons, nearly 90 percent of people have at least one impacted wisdom tooth. Plus, the average person has at least four wisdom teeth. So what’s really all the fuss about wisdom teeth? Simply put, modern jaw size and better dental health now make it less likely for the third set of molars to properly erupt, explains Tennessee oral surgeon David Johnson. Mountain View dentist Dr. Donian Shen says that ignorance with wisdom teeth can be very destructive. The easiest time to remove the third molars is during a patient’s teenage years. 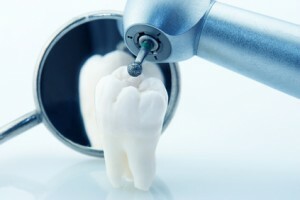 As you grow older, tooth roots continue to grow and teeth reposition themselves. This makes for a much more challenging extraction for the dentist. For many patients, the most challenging aspect of the process involves the postoperative recovery. Here are some helpful tips in getting through your wisdom teeth removal. Chew on the opposite side of the wound for 24 hours to avoid infection. You can prevent dry sockets by not spitting or sucking through a straw. Use gauze pads to control bleeding. Manage swelling with cold swelling and rinsing with warm saltwater. Treat any discomfort with anti-inflammatory medication. The first days after surgery, eat soft, cold foods that are easy on the mouth. Within a few days, patients typically feel well enough to resume normal activities and return to a normal diet. Dr. Shen is a top dentist for root canal treatments in the Sunnyvale, Palo Alto, Los Altos, Los Altos Hills and Mountain View areas. Contact our office for additional information about any of our services.